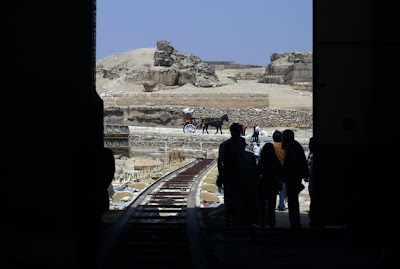 CAIRO (AP) — Archaeologists on Monday began restoration on a 4,500-year-old wooden boat found next to the pyramids, one of Egypt's main tourist attractions. 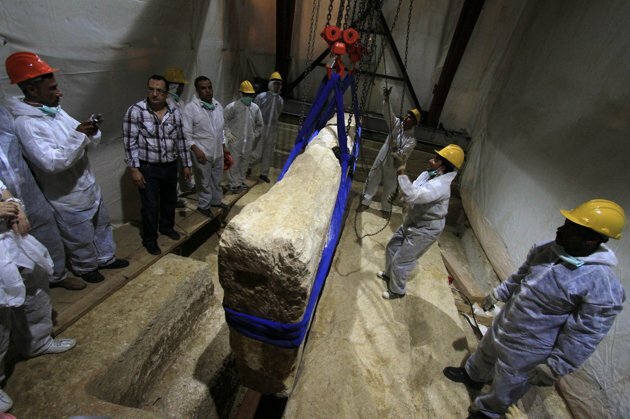 The head of Egypt's Supreme Council of Antiquities, Mustafa Amin, said Egyptologists began taking samples of the wood for restoration on Monday. 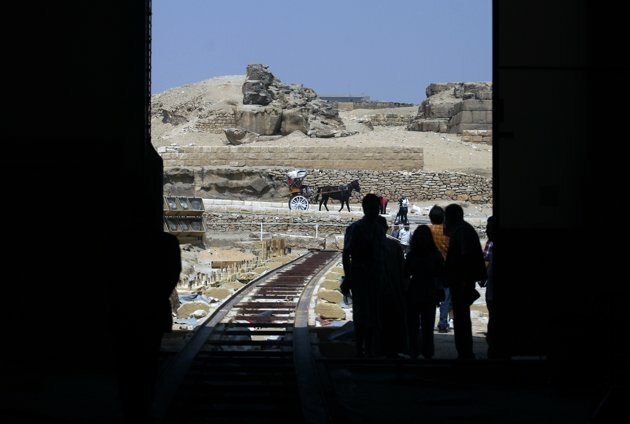 Archaeologists on Feb. 20 began restoration on a 4,500-year-old wooden boat found next to the pyramids, one of Egypt's main tourist attractions. "The boat was found in a complete shape, intact and in place," he said, adding that the focus now is on taking samples of the wood. He said Egyptologists are studying "the different components and fungus in the wood in order to find the most sufficient and advanced way to work on the wood." 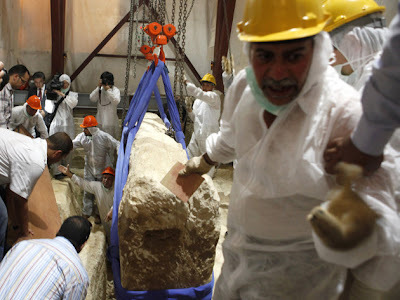 Last year in June, a team of scientists lifted the first of 41 limestone slabs each weighing about 16 tons to uncover the pit in which the ancient ship was buried, said Sakuji Yoshimura, professor from Japan's Waseda University. 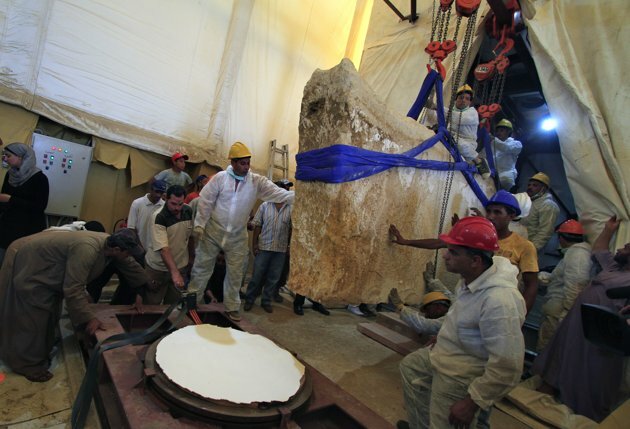 At the time, experts said restoration would likely take about four years and that at its completion, the boat would be placed on display at the Solar Boat Museum near the pyramids, which routinely attract millions of tourists and boost one of Egypt's most important industries. The team had initially thought the vessel would be safer left underground than exposed to pollution, but evidence showed that pollution, water and insects had invaded the boat's chamber. 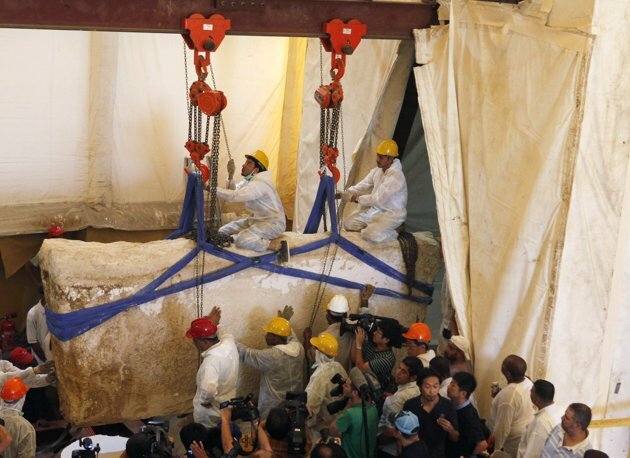 A $10 million grant from Waseda University has helped in preparing the ship's excavation process.